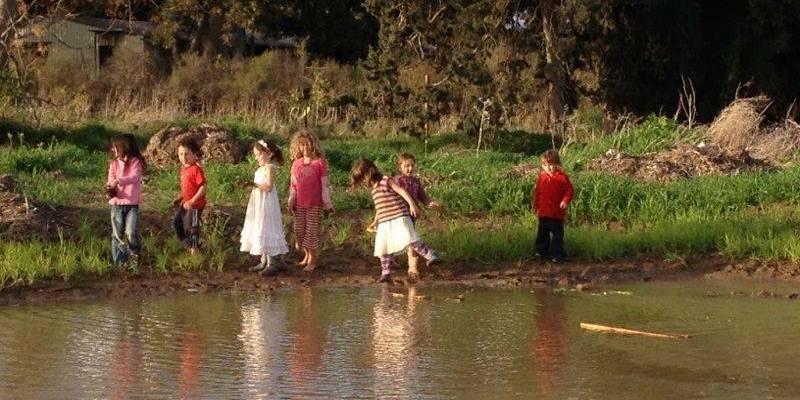 Living in a 5 Acre Farm In Moshav Shdema in the South Center Israel. 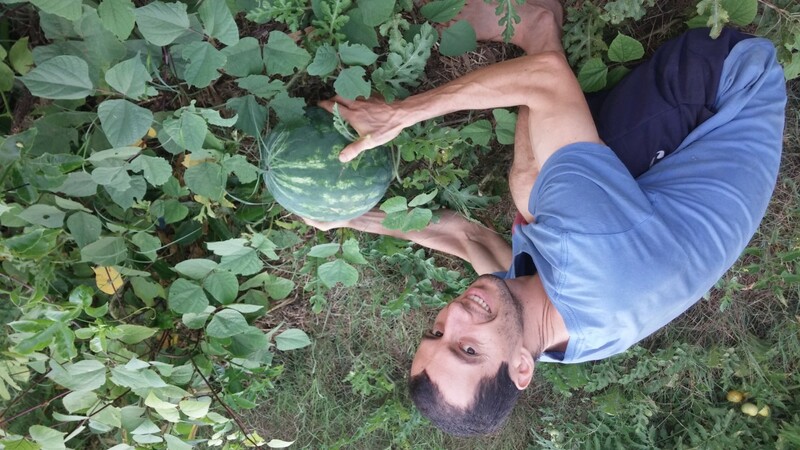 We use the fertile soil to grow some of our food and develop a food forest based on permaculture principles. We spend our days building, dreaming, practicing yoga, meditation, contact dance, and sharing meals. We have created a large straw bale building,communal kitchen, two original yurts, and a geodesic dome where we all come together to share our passions and skills. We are about an hour by bus from Tel Aviv and Jerusalem. You're welcome to join us as a volunteer or participate in one of the activities which happen here. Weekly Contact Improvisation classes, suitable to all levels. At the end of the class there is a contact jam. 3 different yoga classes weekly. Community meetings, sharing circles and various communication and honesty workshops to deepen relationships and resolve conflicts in the community. Every 2 month we’re having a swap (give and take) market, where people bring cloths, shoes, thing for the house, books, and take whatever they want. 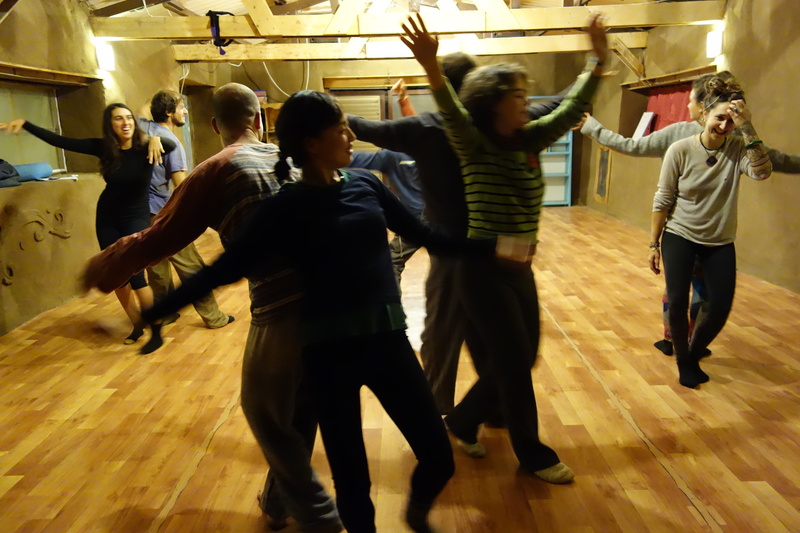 We’re having two 10-days Contact Improvisation camps every year, one in April and one in October. And every 2-3 months we’re having a mini camp of one weekend. For more information about the weekends and camps, click on the photo. The Mud House, also called The Bale House, is a 108 meter square structure with mud walls and a soft dancing floor. It was an old chicken coop, and since 2011 it is being built with friends and other volunteers. 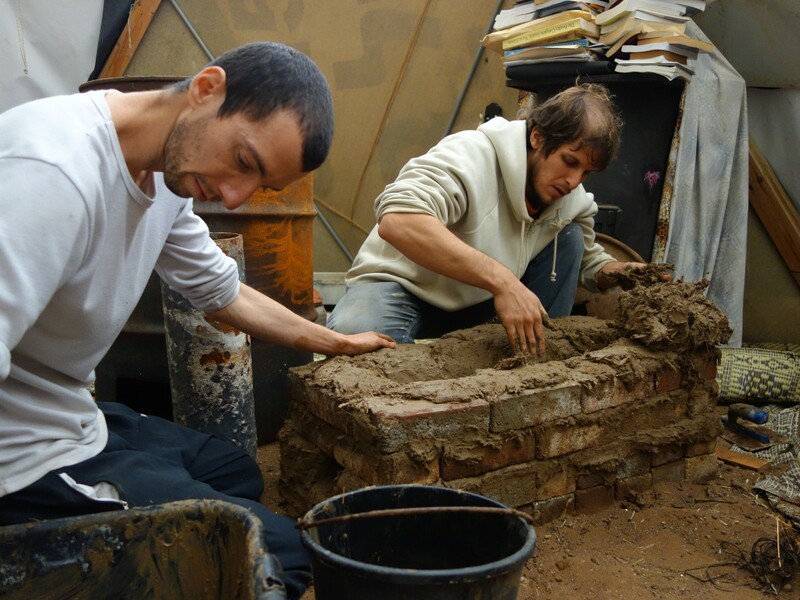 We used straw-bales to create the walls, and covered them with mud plaster. We created a new structure for the roof, so we could take out the poles that were in the middle of the structure. And slowly slowly, it becomes what it is today – a place for dance, yoga, meditation, lectures and parties! It is always evolving alongside Shdemama. 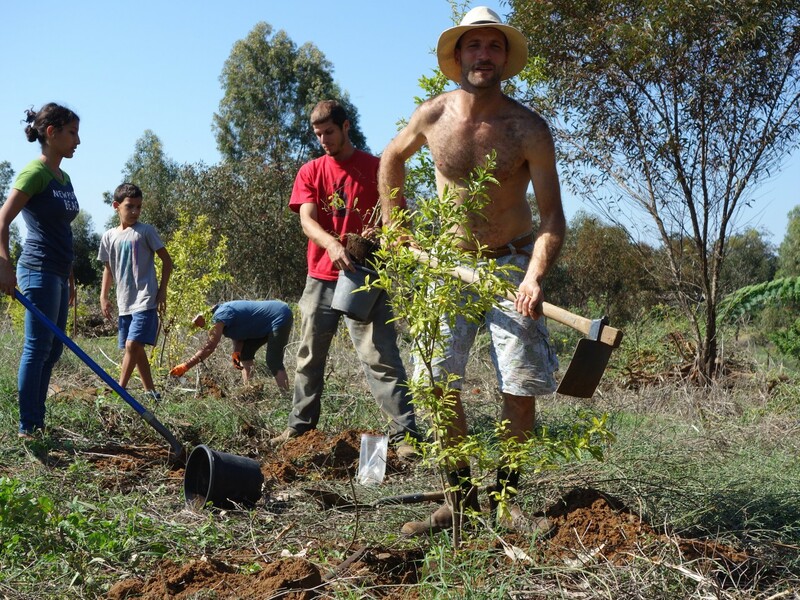 A food forest is a planned forest, designed by the intelligence of nature, where we plant variety of trees, shrubs and plants that we can benefit from. 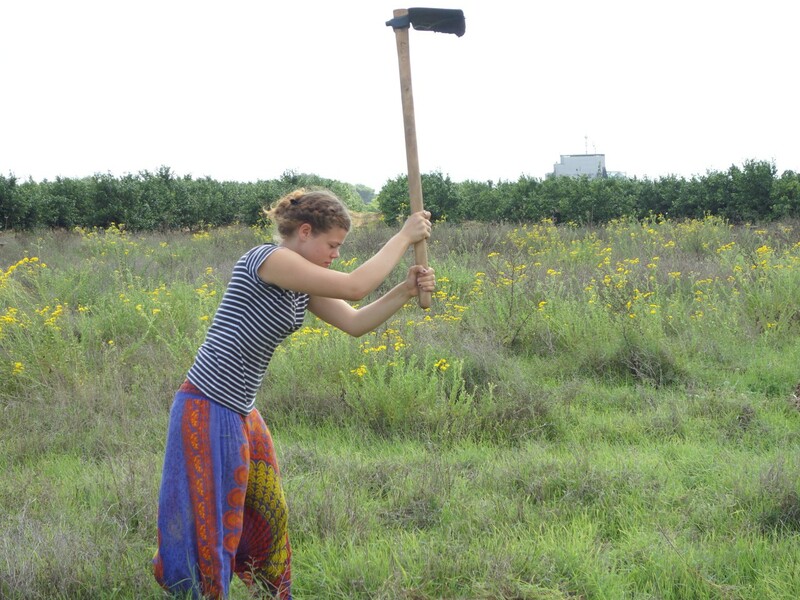 It is designed using permaculture methods to create a healthy, ecology, and stable system, that produces lots of food. 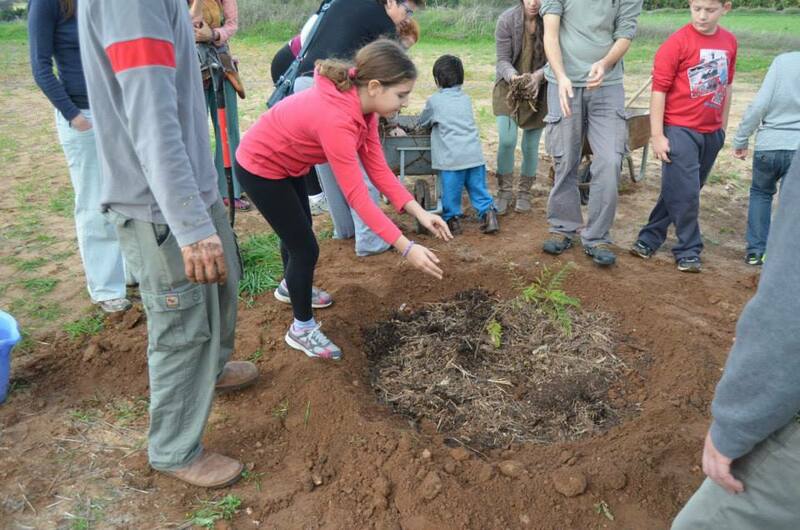 At the end of January 2015 we finished our successful crowd funding project, and did our first planting weekend with friends and volunteers. Since then, we continue developing the forest on a weekly bases and also with perma-blitzs from time to time. 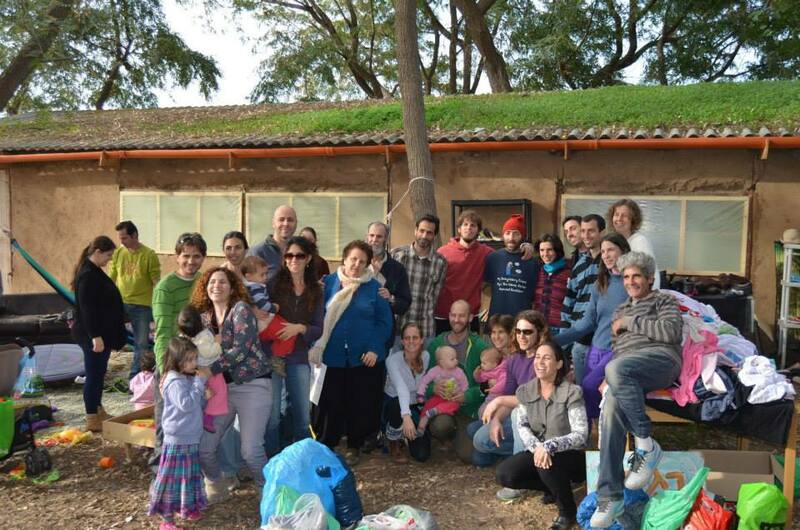 We welcome volunteers from inside and outside Israel to join our community to live and work. 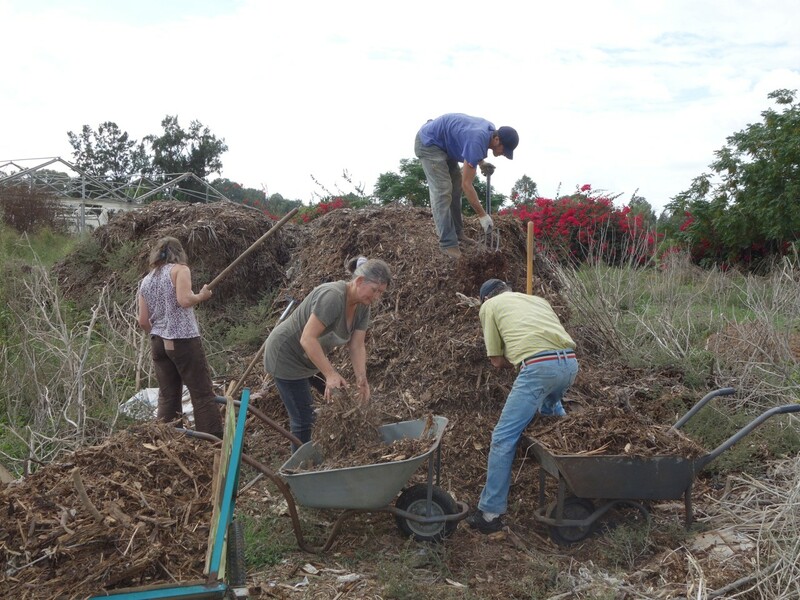 Learning sustainable living practices, experimenting with permaculture technologies, living close to nature, working with the earth, in a constantly evolving community. Volunteers are the heart and hands of Shdemama. Each of us brings our own fields of interest, special talents & inclinations. We’re curious what yours are! Among our projects are a food forest, building an eco-center, monthly swap markets, small agricultural plots & constant experimentation. Volunteers are also invited to join the activities meditation, yoga, sharing circles, swap markets & parties. 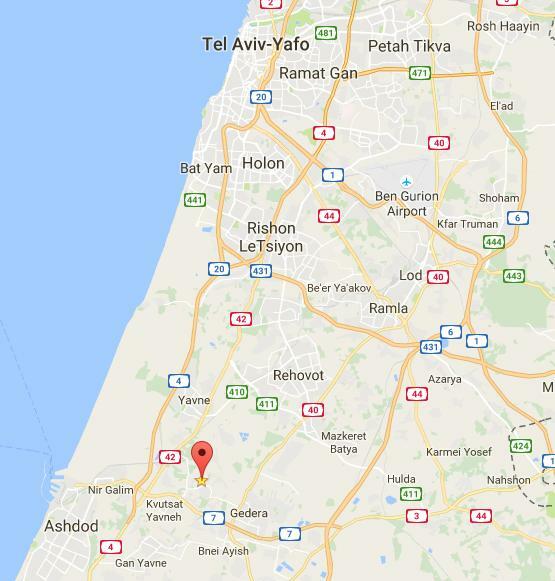 By car: we’re about 30 mins drive from Tel-Aviv, 45 mins from Jerusalem. Look for “Shdemama” on Google Maps or Waze. by public transportation: From tel-aviv, bus 345 or 369 to Beit Raban junction, from there you can hitchhike or walk for about 20-25 mins. Look for Shdemama on google maps to see where we are exactly. Another option is to take a train to Yavne West, walk 3 mins to the Yavne Central bus station and take line 35 from platform 3. Note that this like is not frequent at all, so you really need to make sure you check the hours so you’ll not have to wait there for 2 hours. Ask to Shdema, and again, follow the google map to see where to get off.